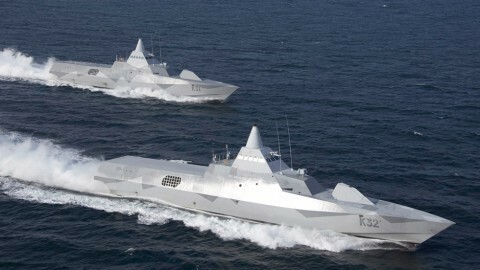 MPE powerline and control line filters have been incorporated in numerous applications on the new and futuristic Visby Class of stealth ships. 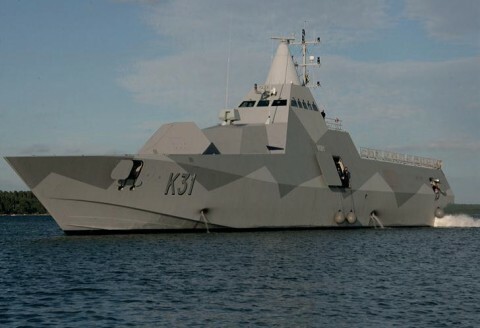 Built at the Saab Group’s Kockums shipyard at Karlskrona, the 73m x 10.4m corvettes – with 640t displacement and 2.4m draught – have been designed and equipped for multiple combat roles, including anti-surface warfare, anti-submarine warfare, mine countermeasures and patrol duties. Stealth technology aims to minimize a vessel’s transmitted and refl ected footprints – heat, light, sound, electrical and electromagnetic radiation – to deny an enemy the opportunity to locate, identify, track and attack it. Accordingly, on the Visby Class stealth corvette, flat surfaces and concealed equipment reduce the radar signature to a minimum. The hull is designed on stealth principles with large, flat-angled surfaces. Every feature which does not have to be located outside the hull has been either built in or tucked away under specially designed hatches. The gas turbine exhausts have been concealed in hidden outlets close to water level at the stern of the vessel. The vessel is built of carbon fi bre reinforced plastic (CFRP) of sandwich construction. That provides high strength and rigidity, low weight, good shock resistance, low radar footprint and low magnetic signature. The material of construction dramatically reduces the structural weight, typically 50% of that of a conventional steel hull, facilitating a greater carrying capacity, higher speed – over 35 knots and longer range.